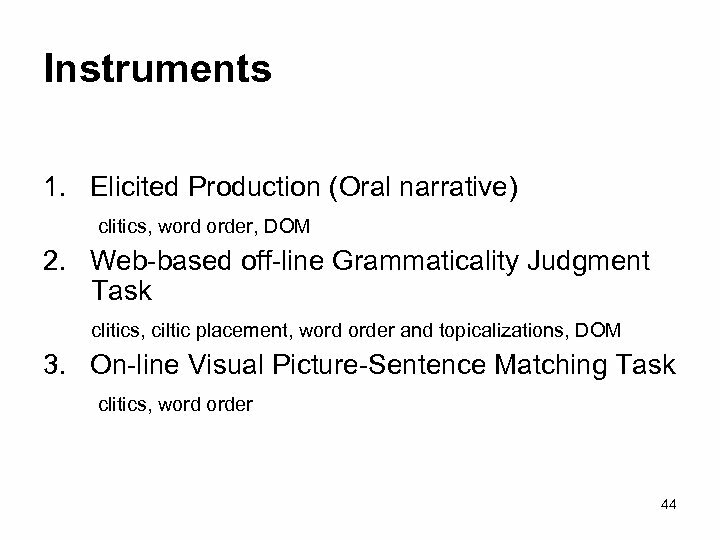 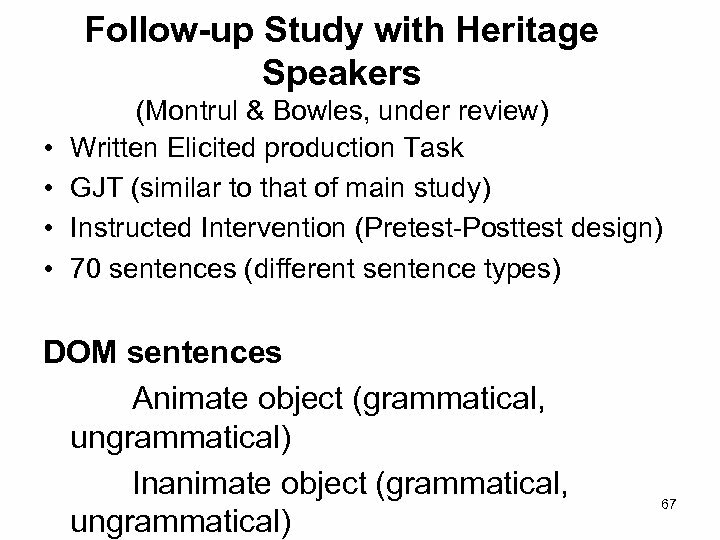 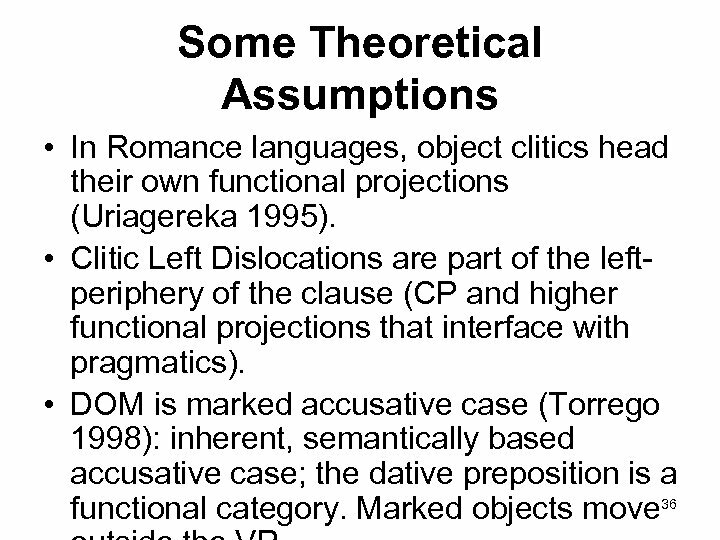 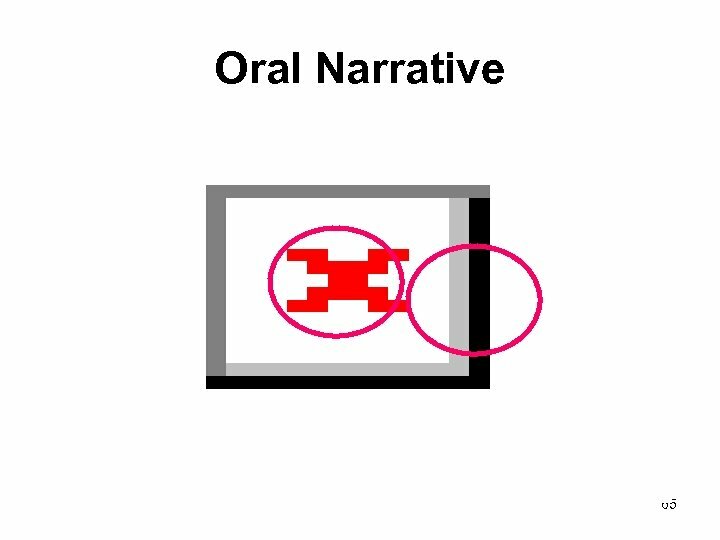 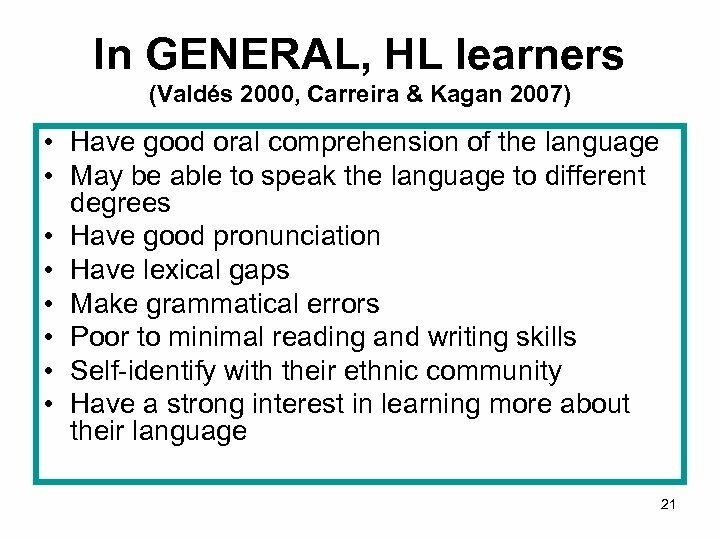 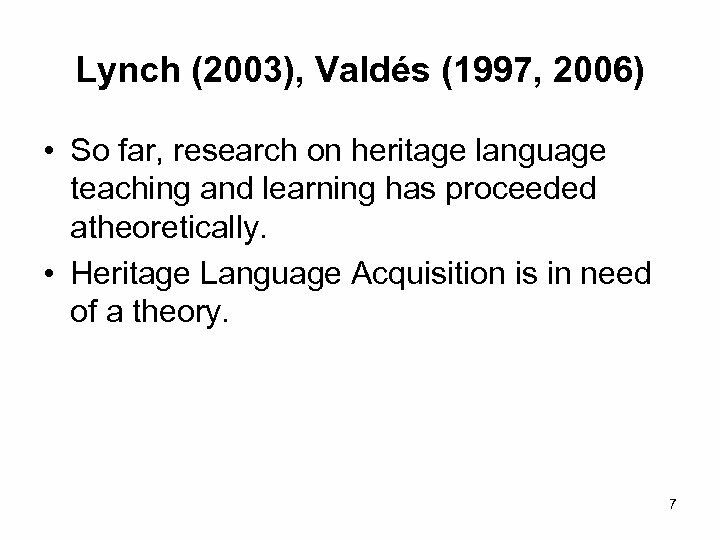 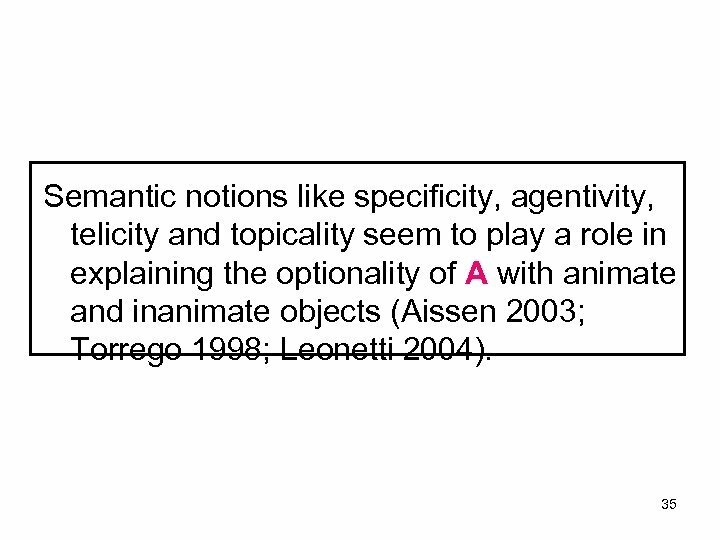 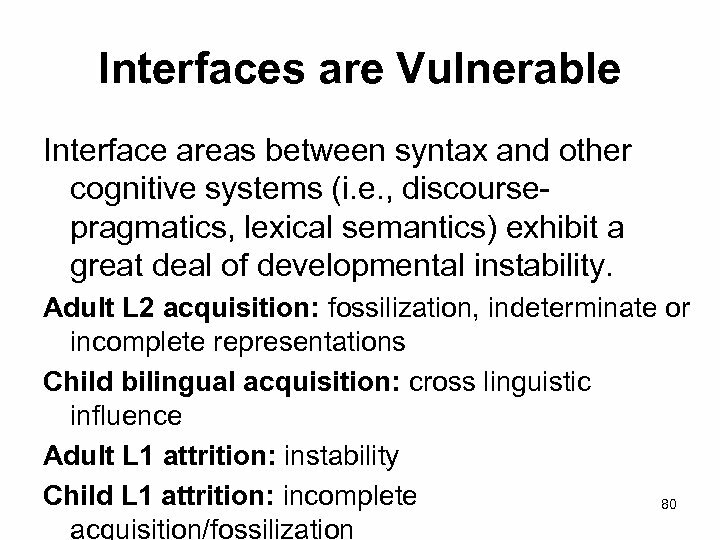 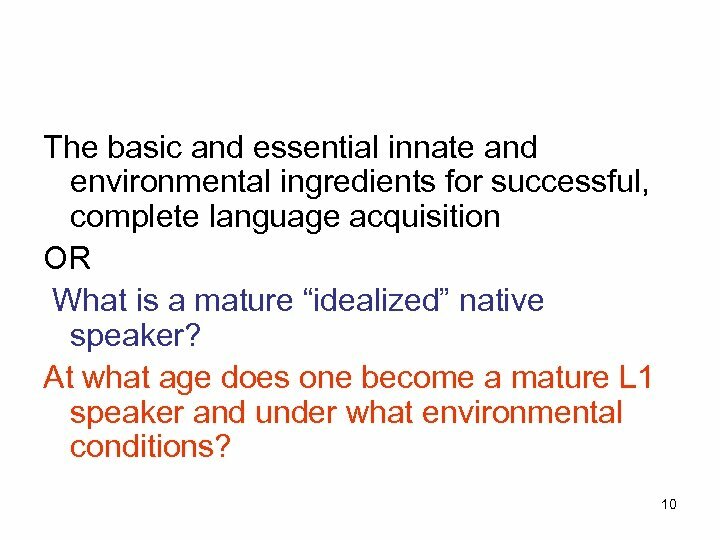 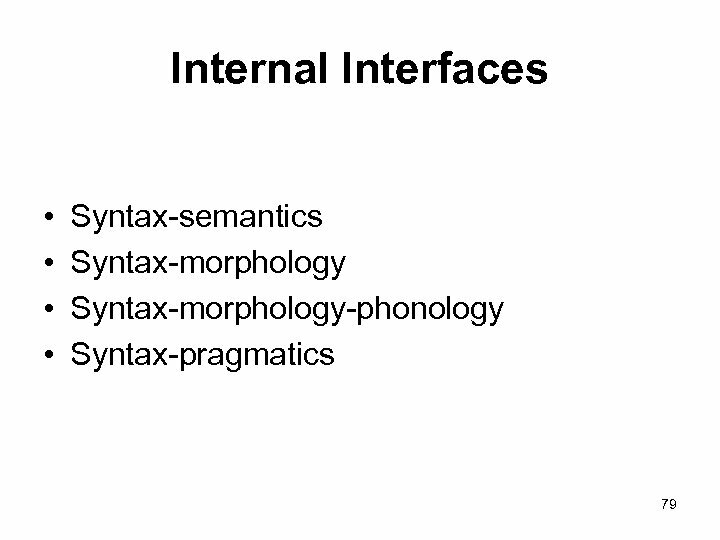 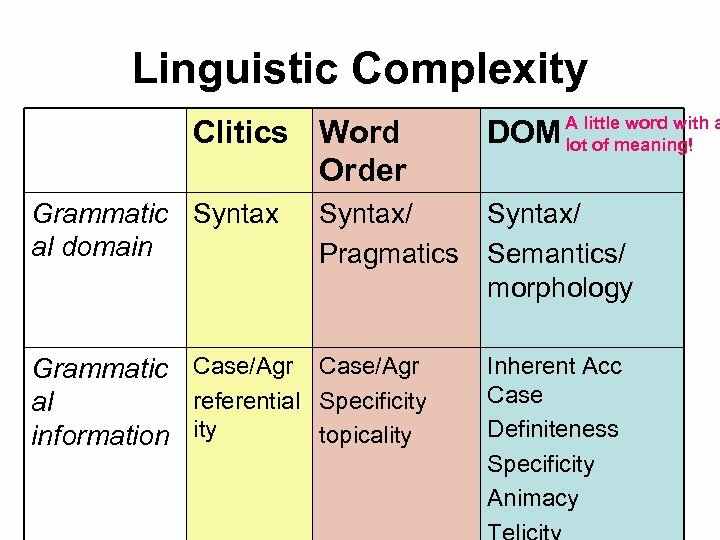 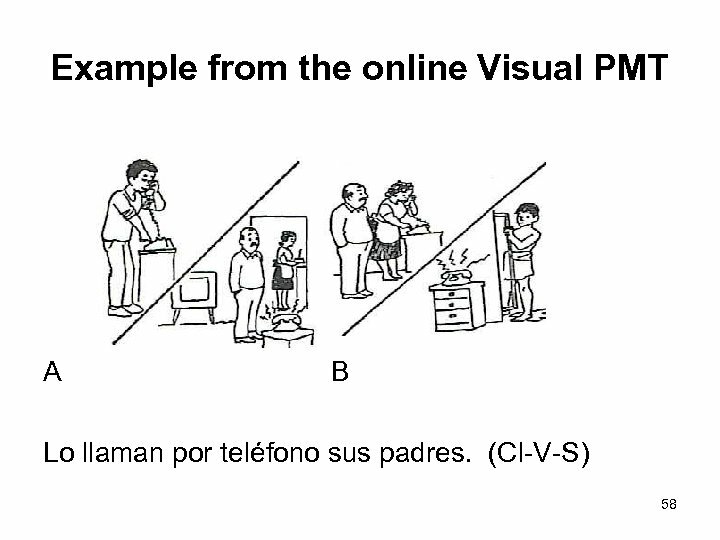 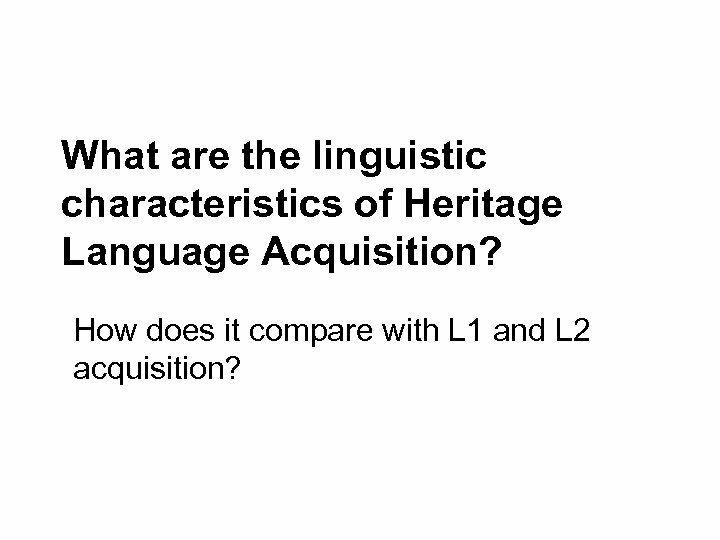 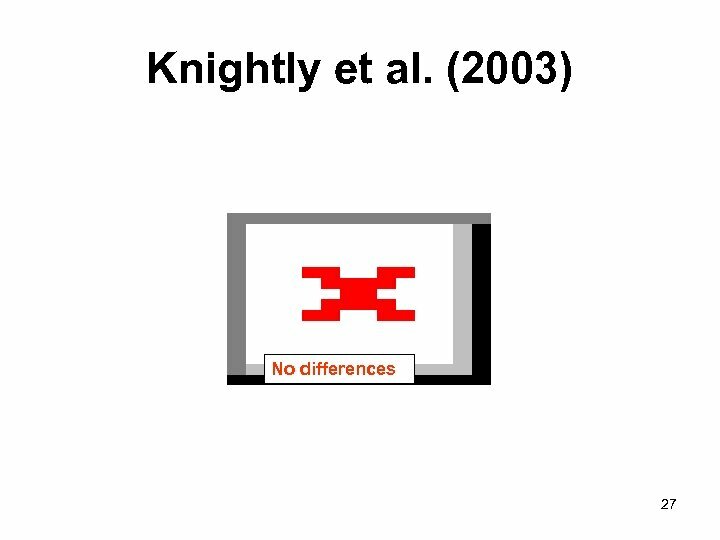 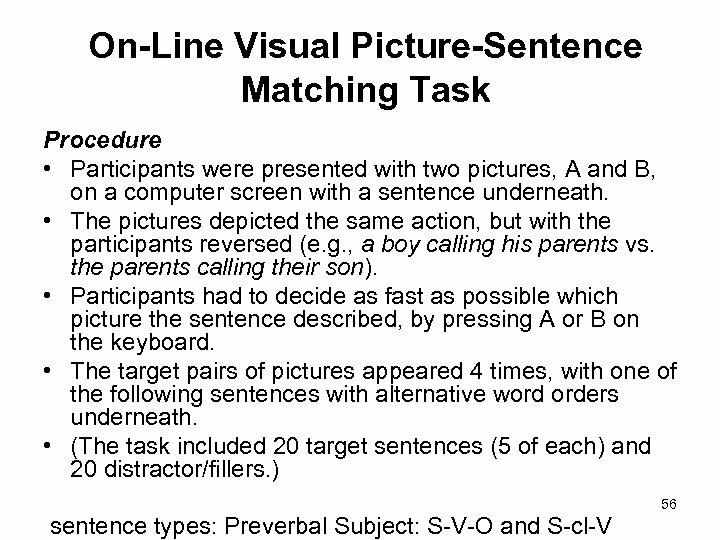 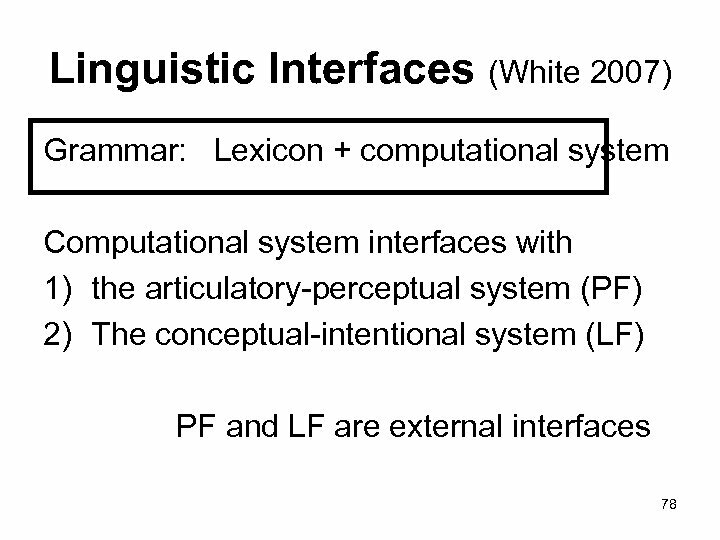 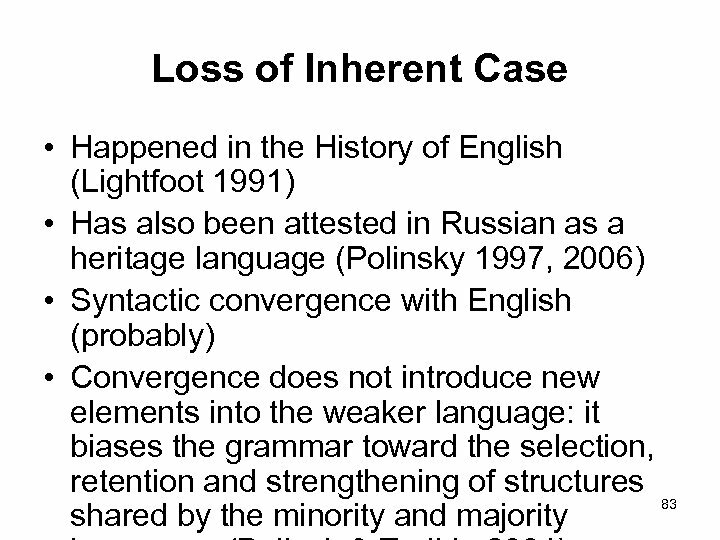 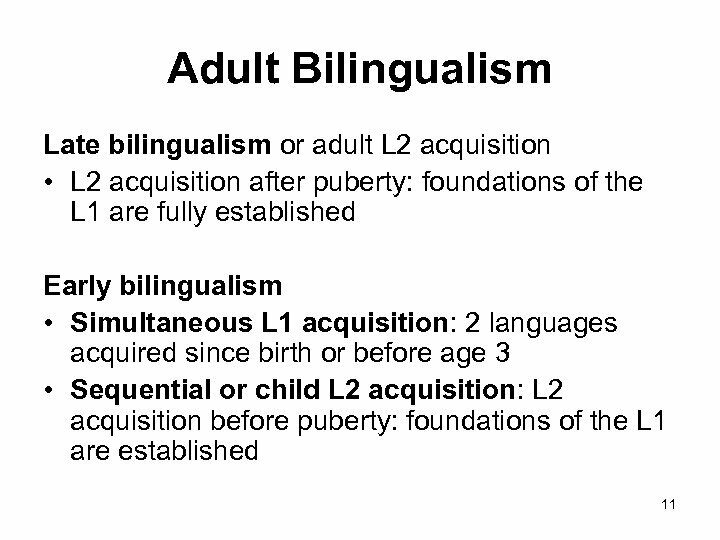 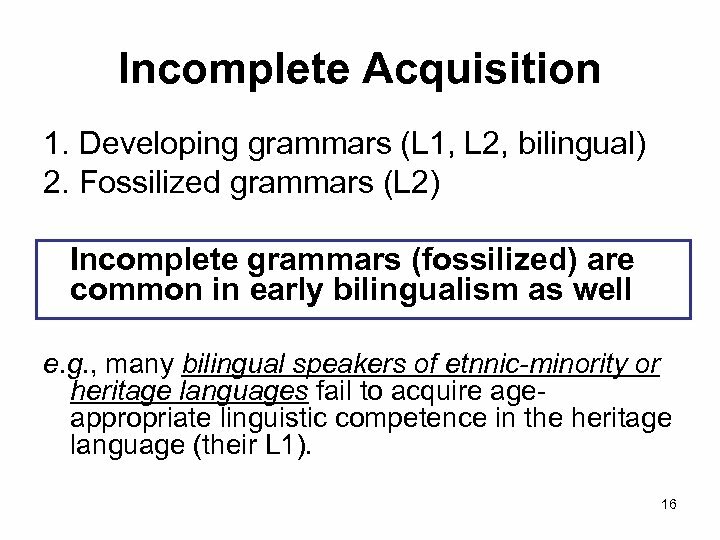 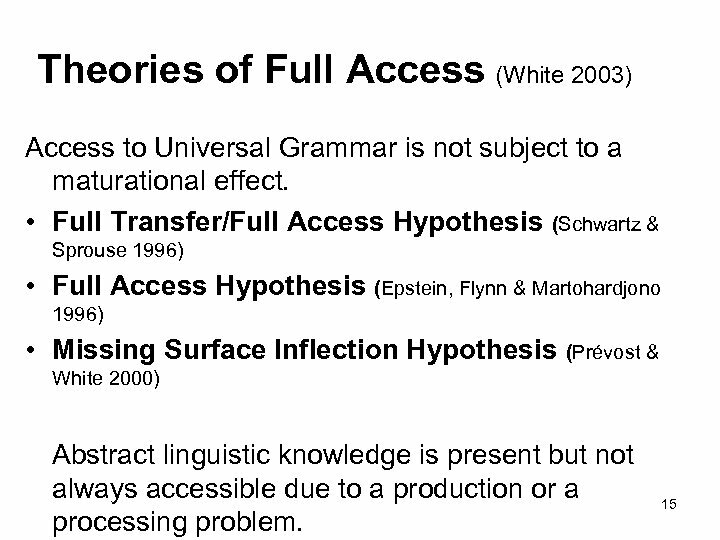 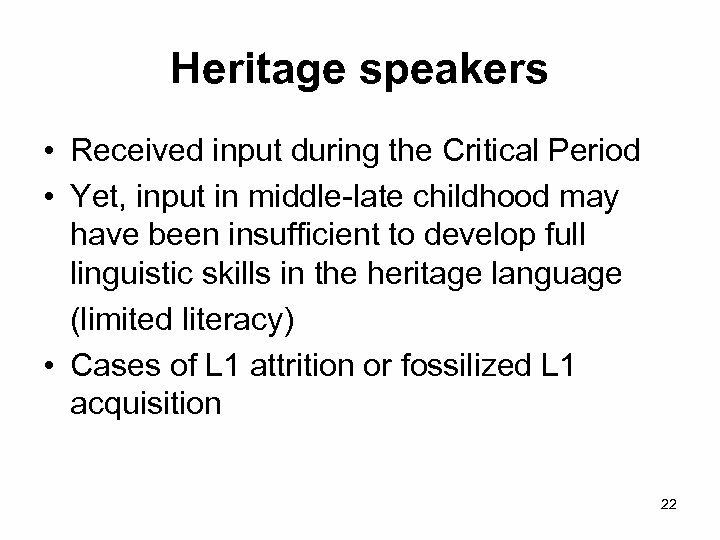 What are the linguistic characteristics of Heritage Language Acquisition? 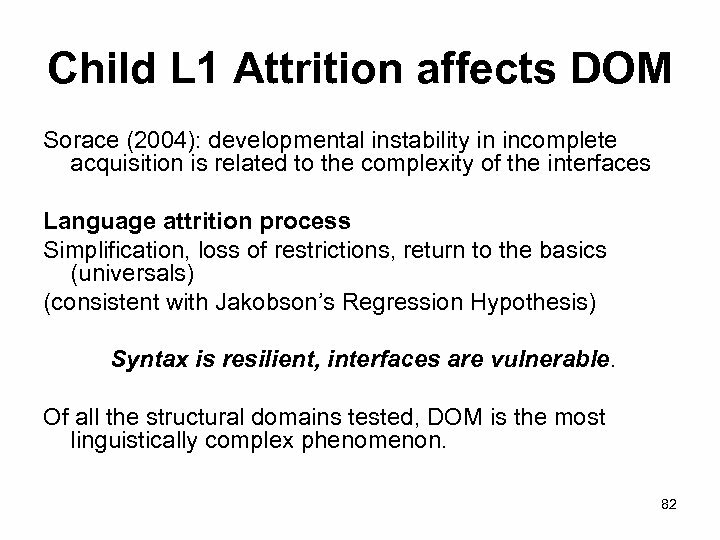 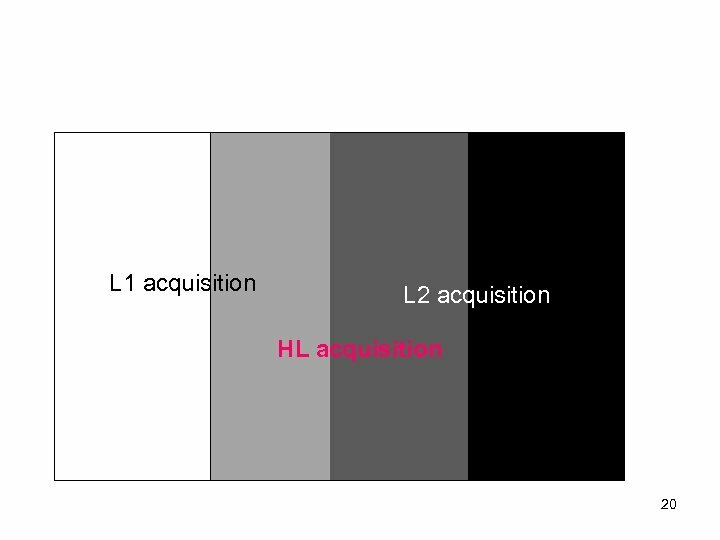 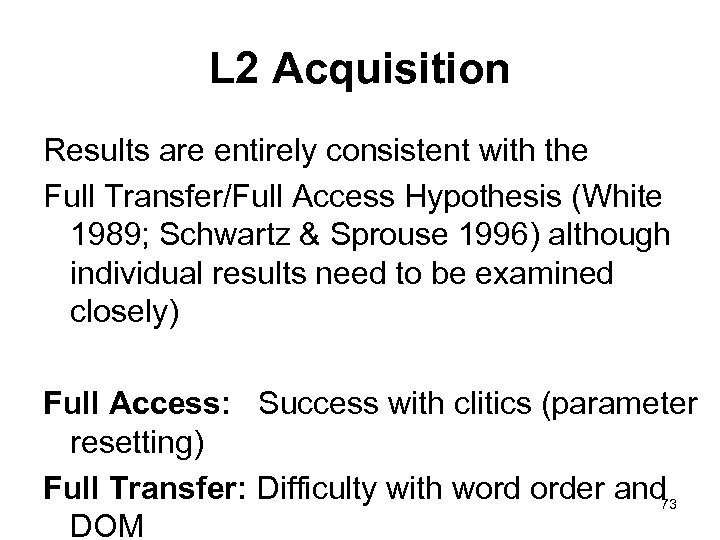 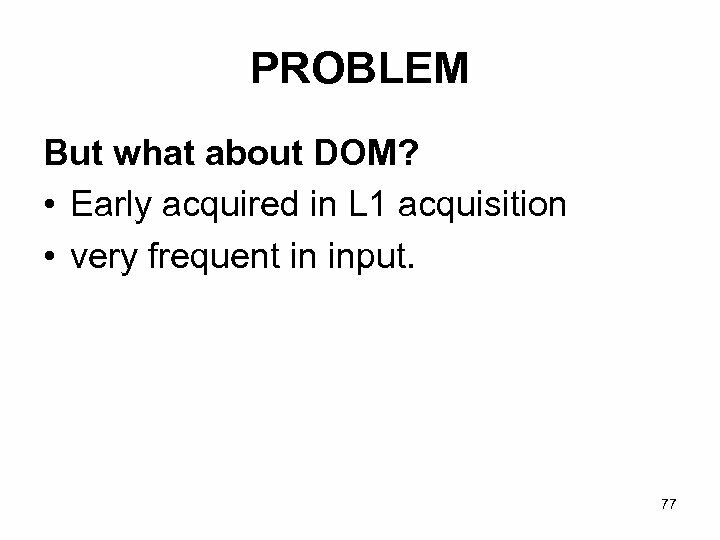 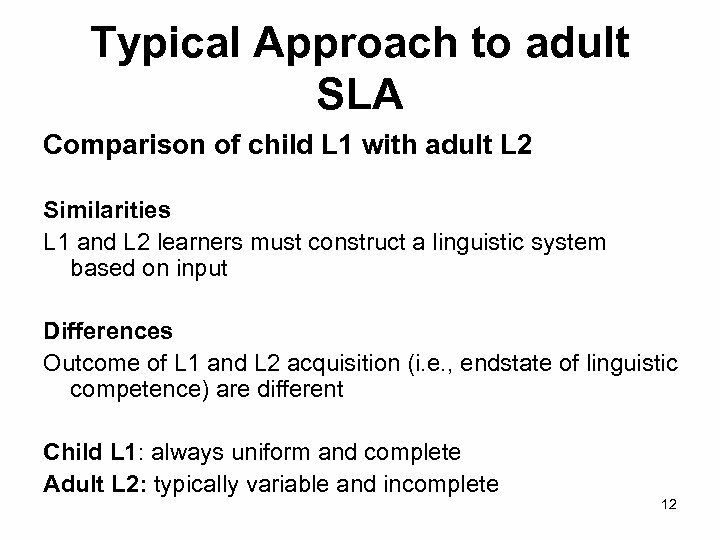 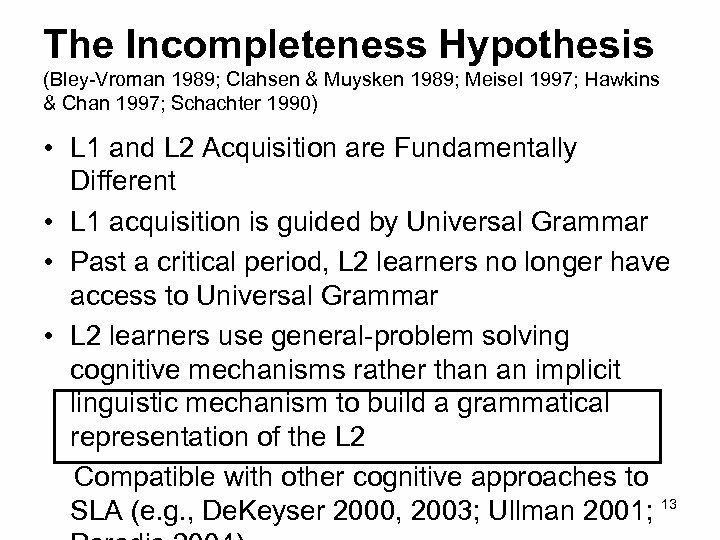 How does it compare with L 1 and L 2 acquisition? 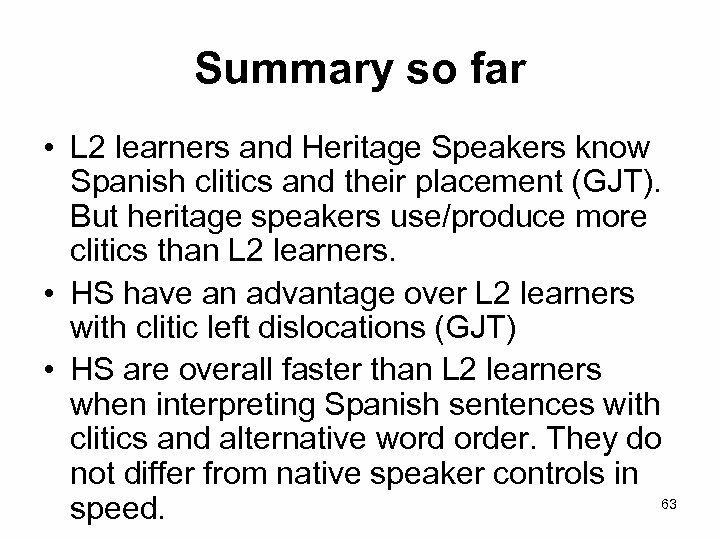 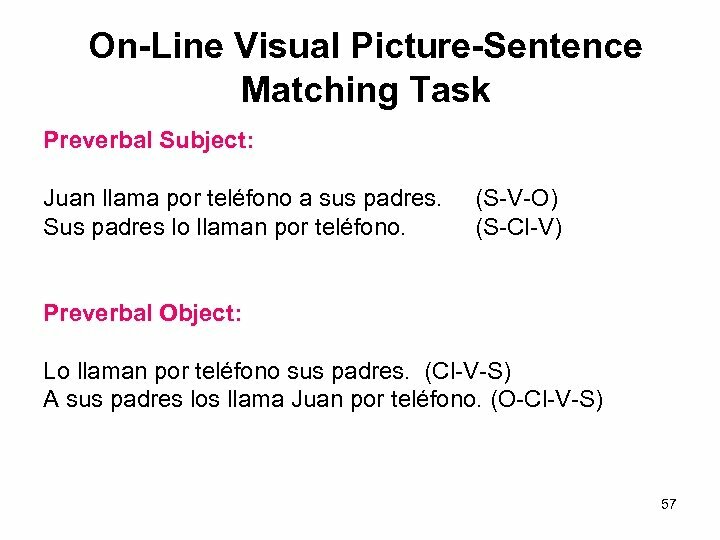 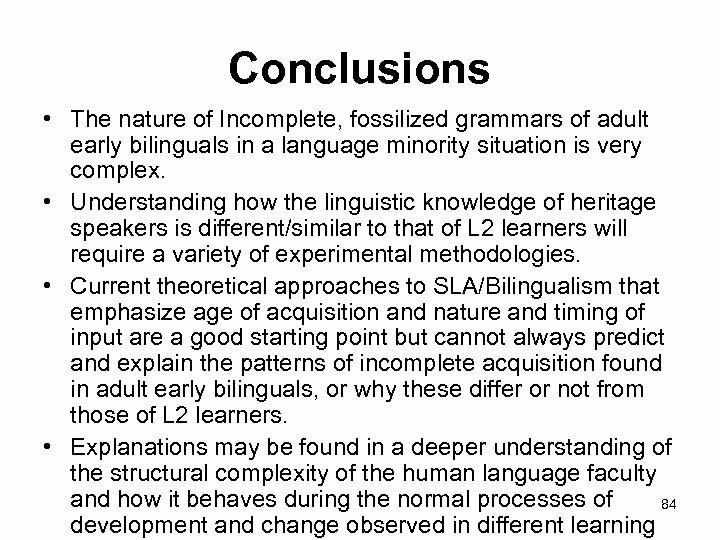 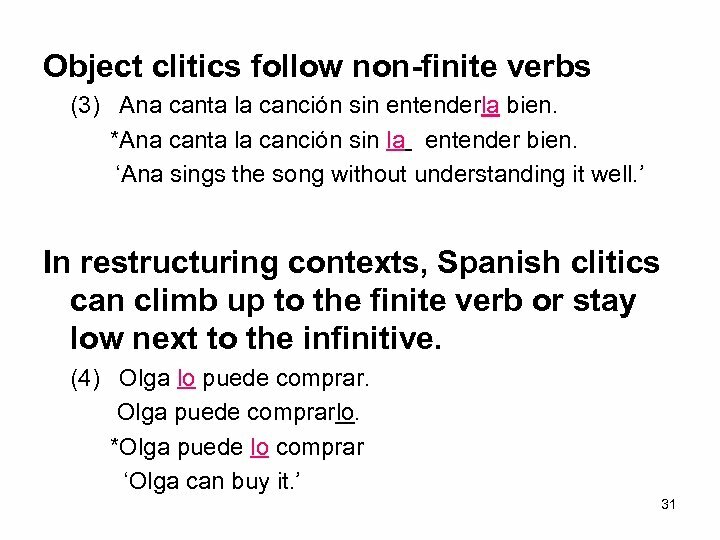 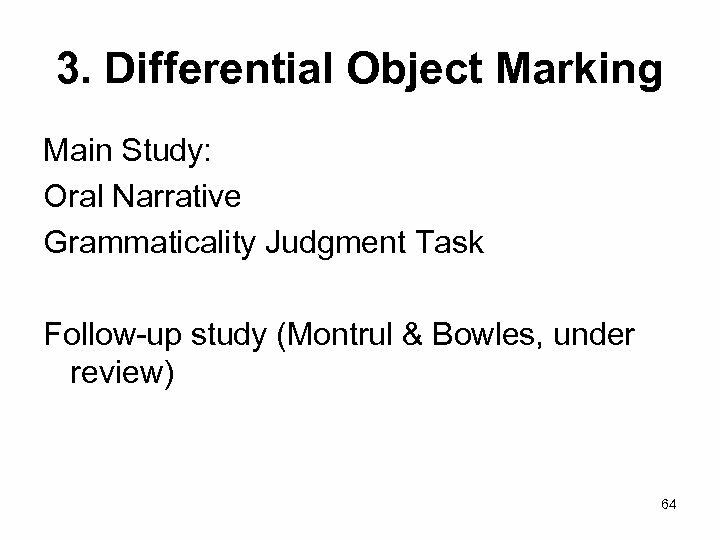 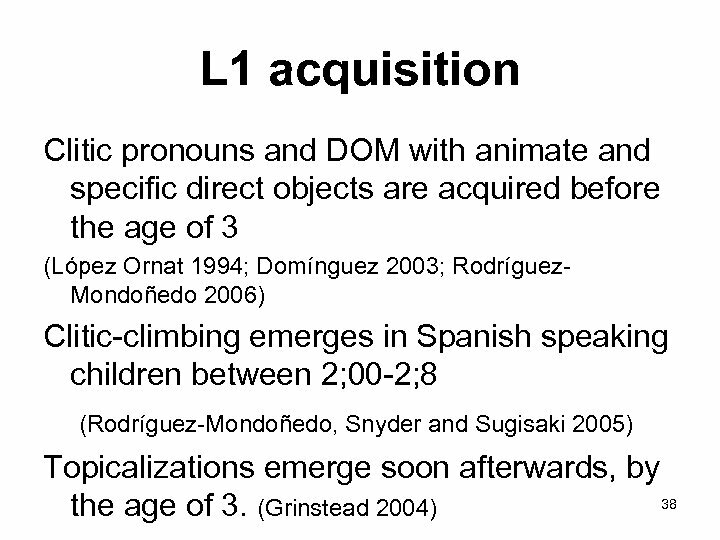 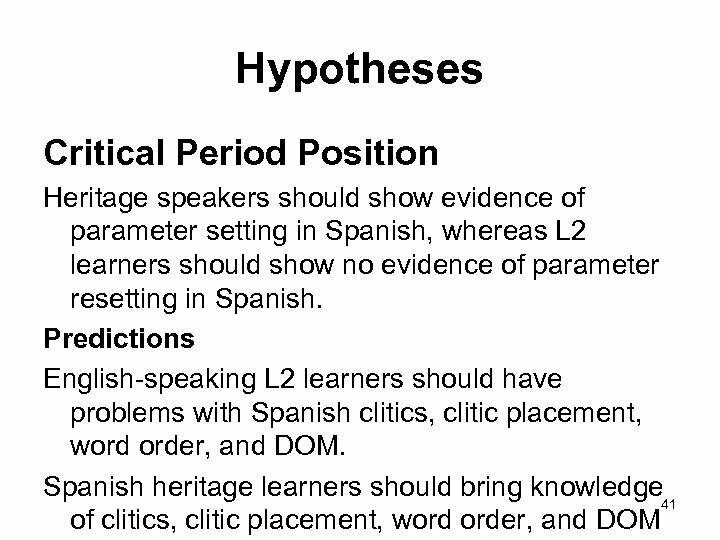 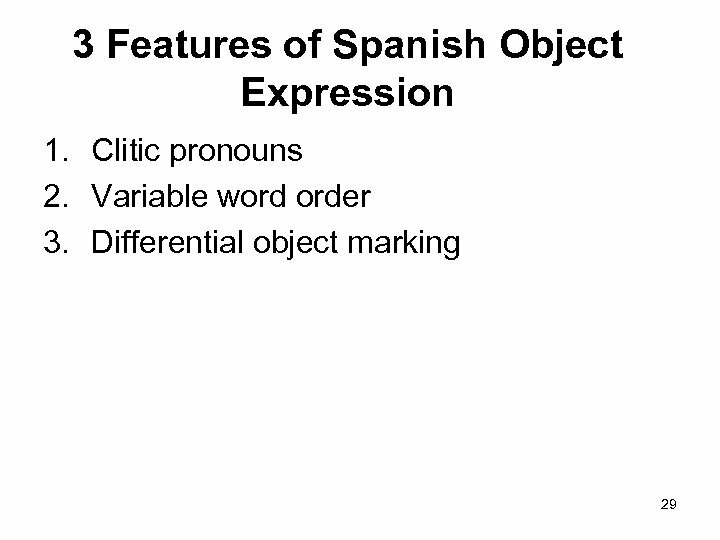 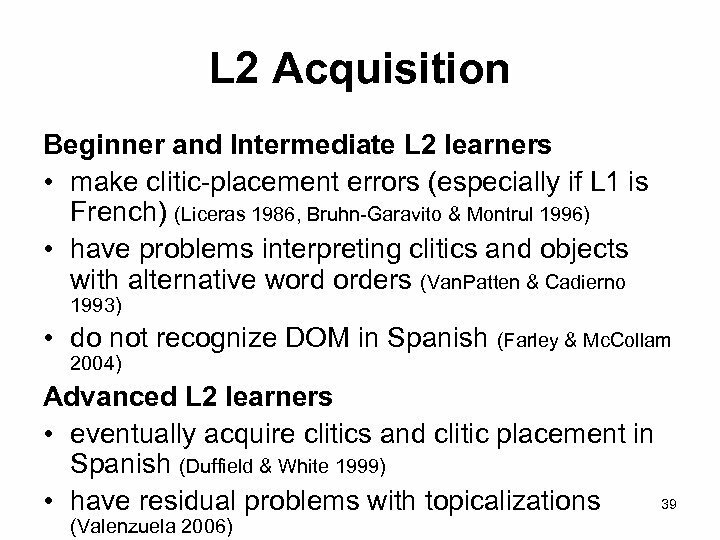 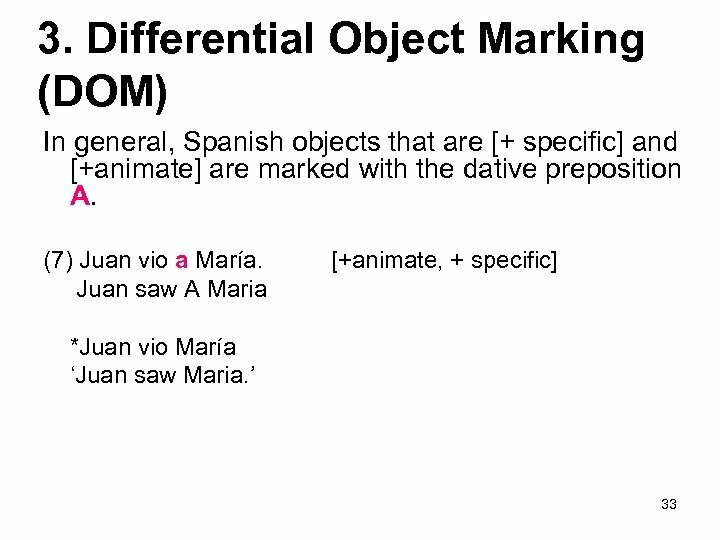 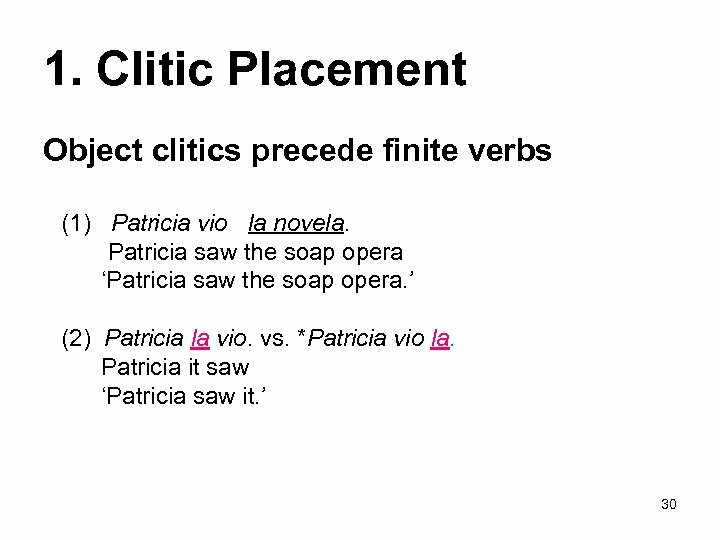 Summary so far • L 2 learners and Heritage Speakers know Spanish clitics and their placement (GJT). 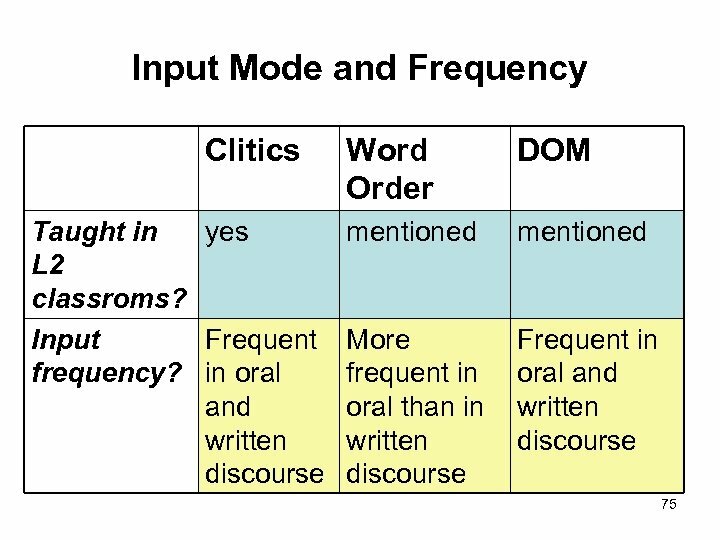 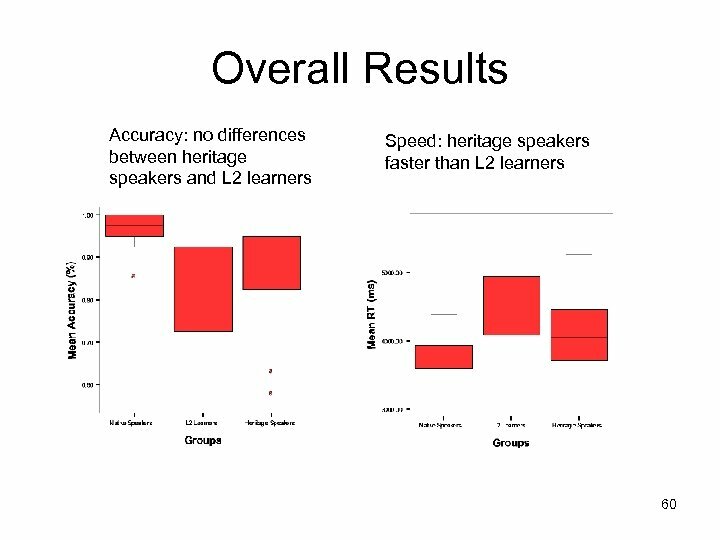 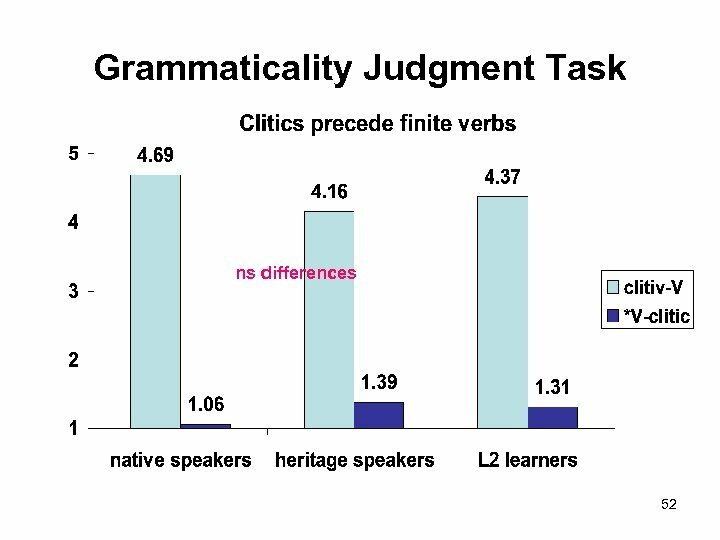 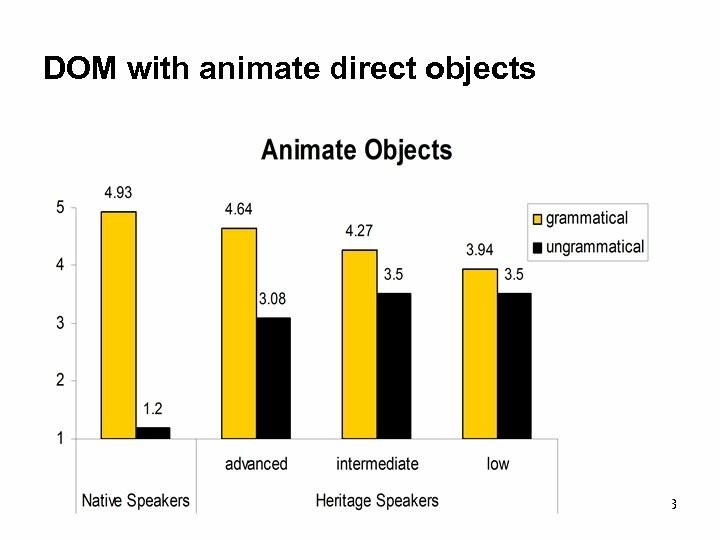 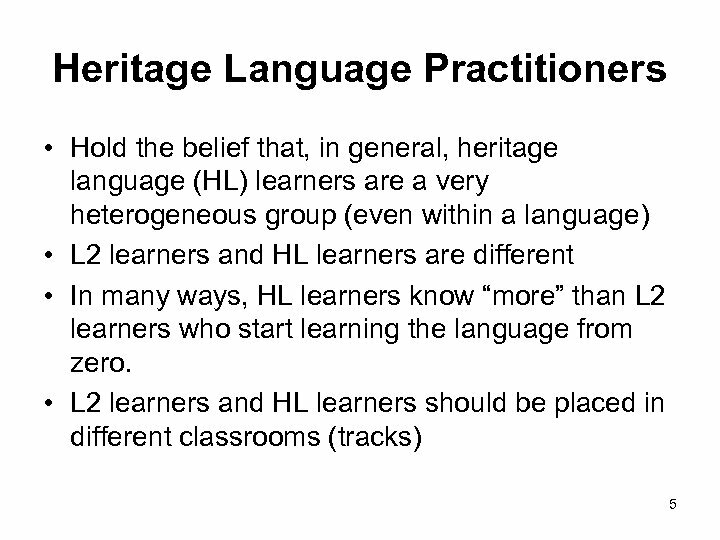 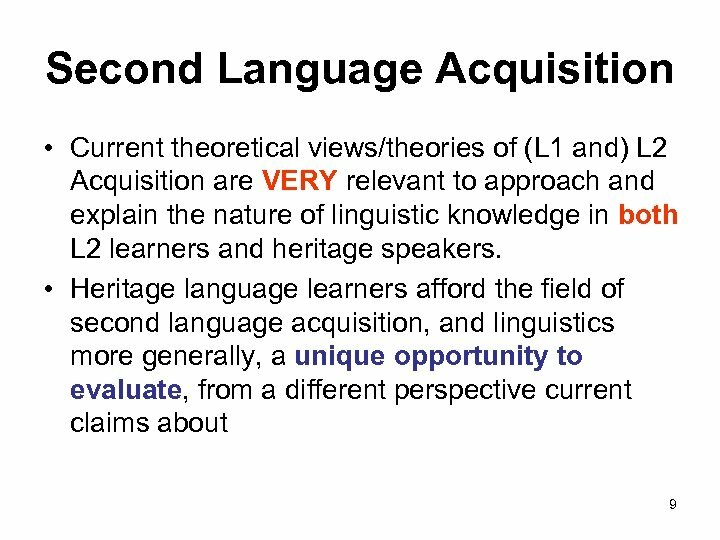 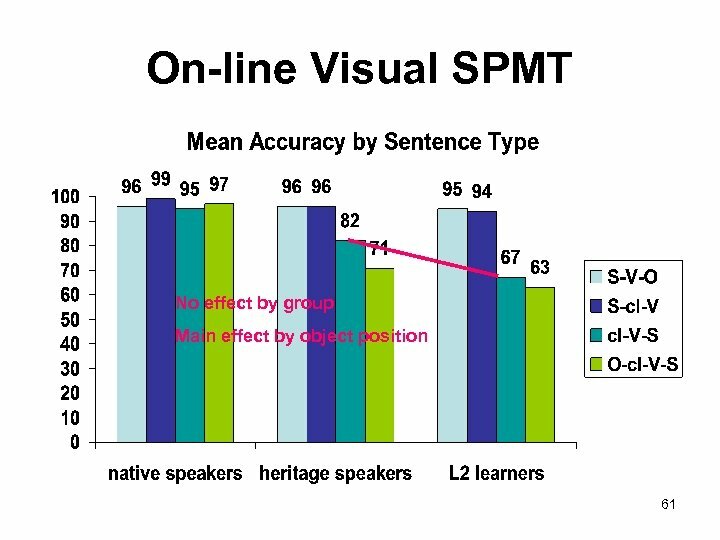 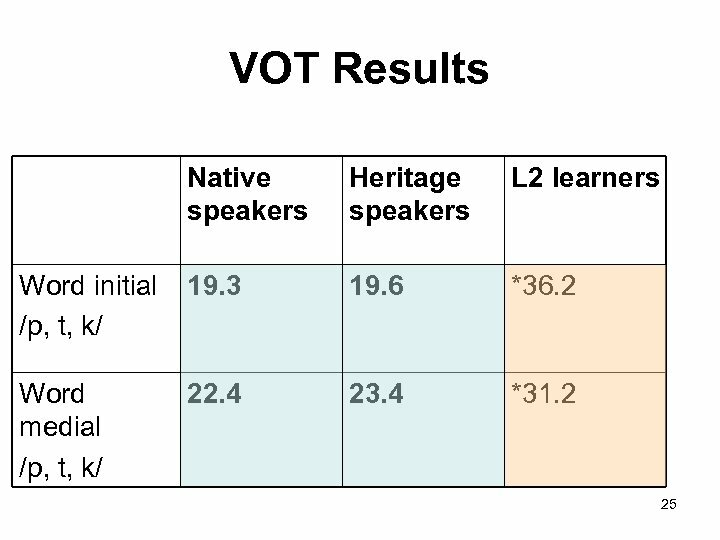 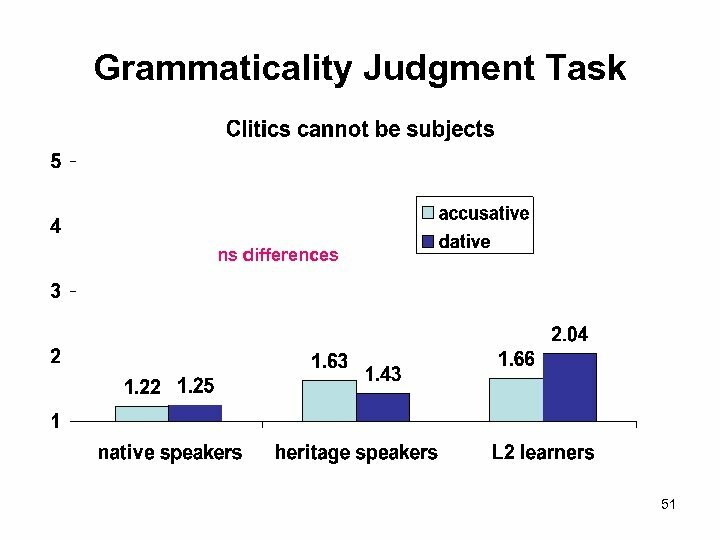 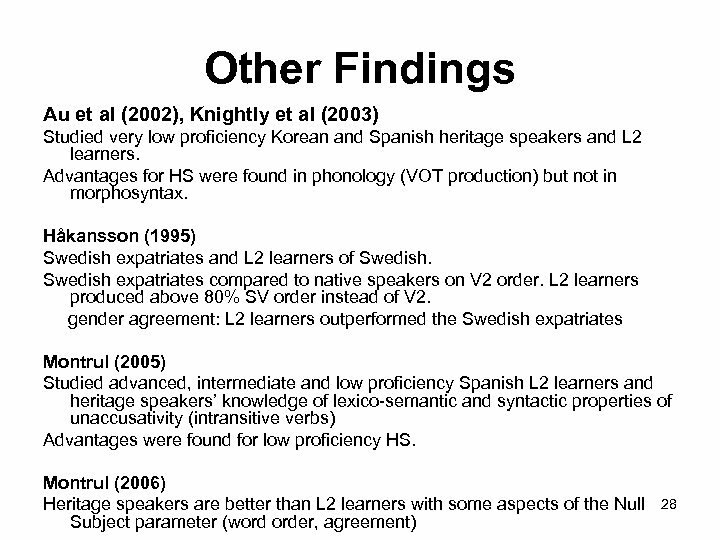 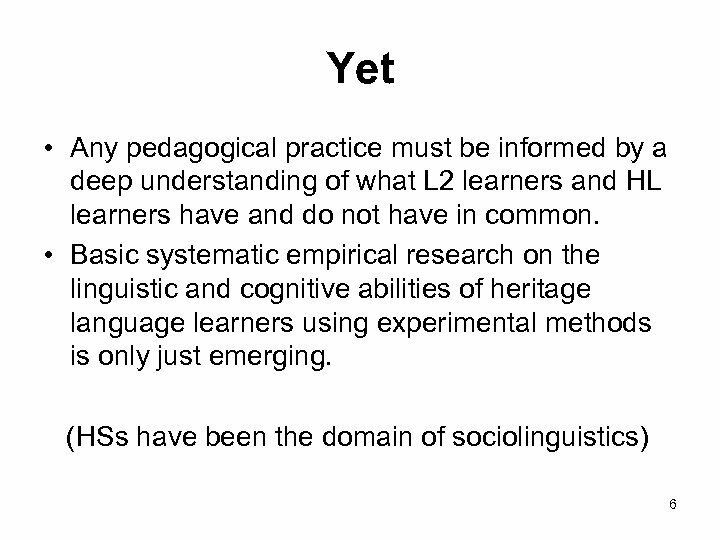 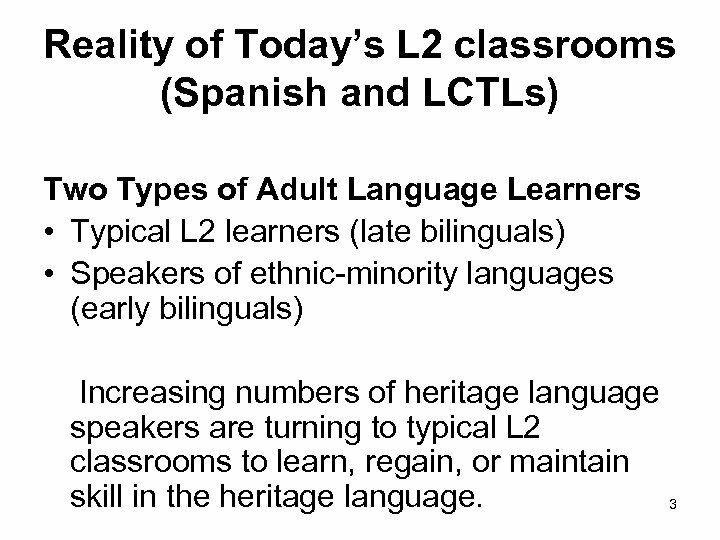 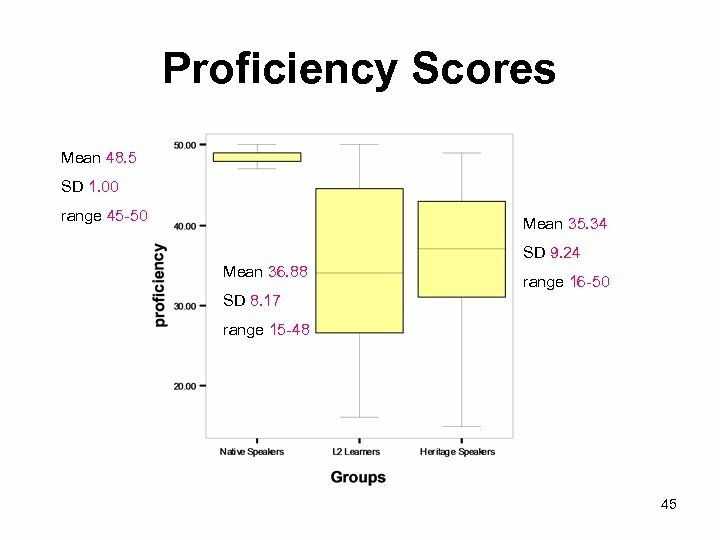 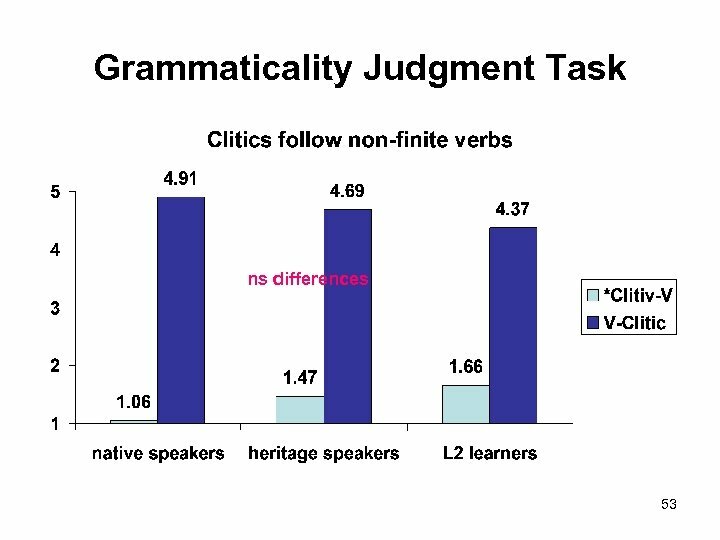 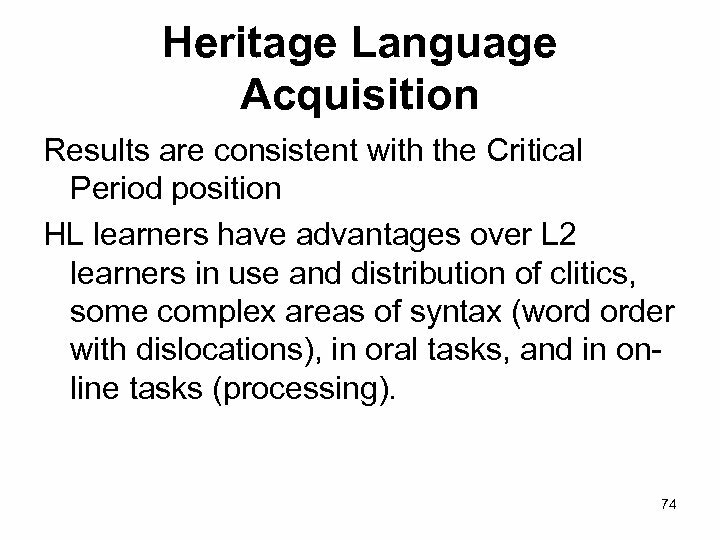 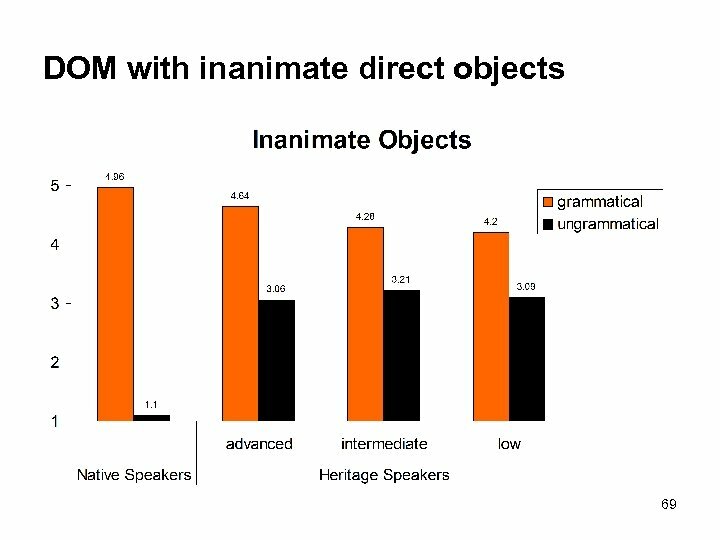 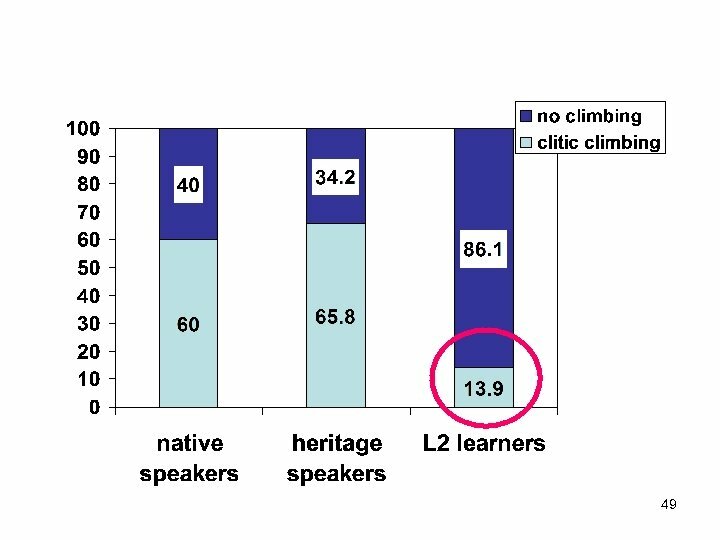 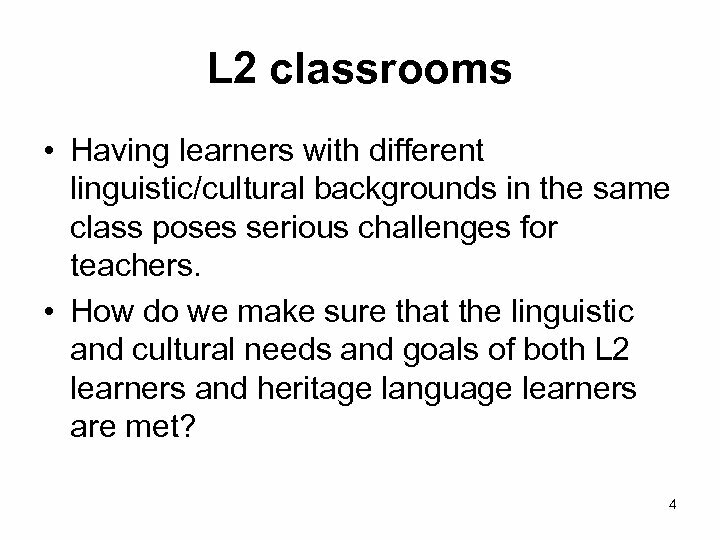 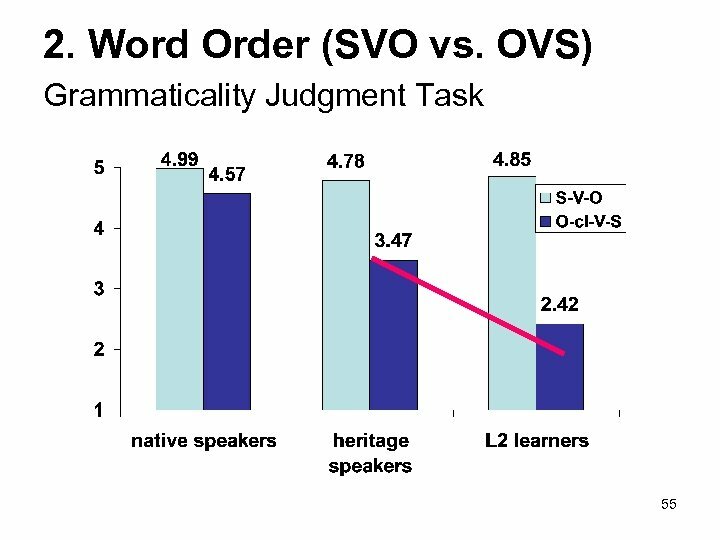 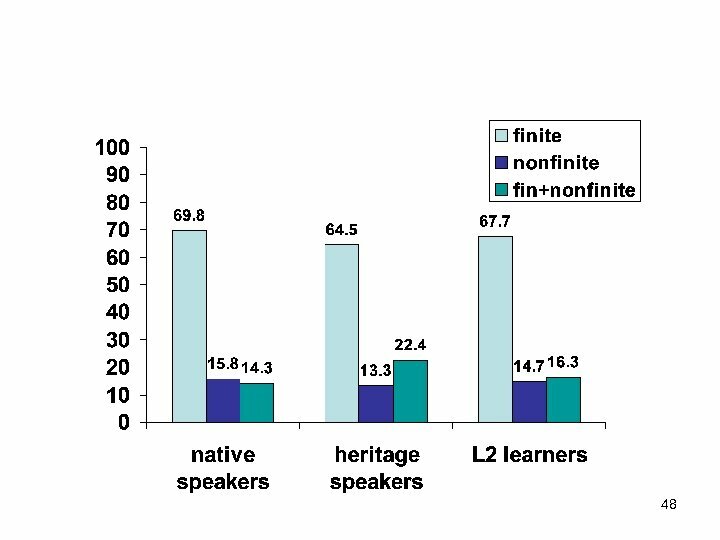 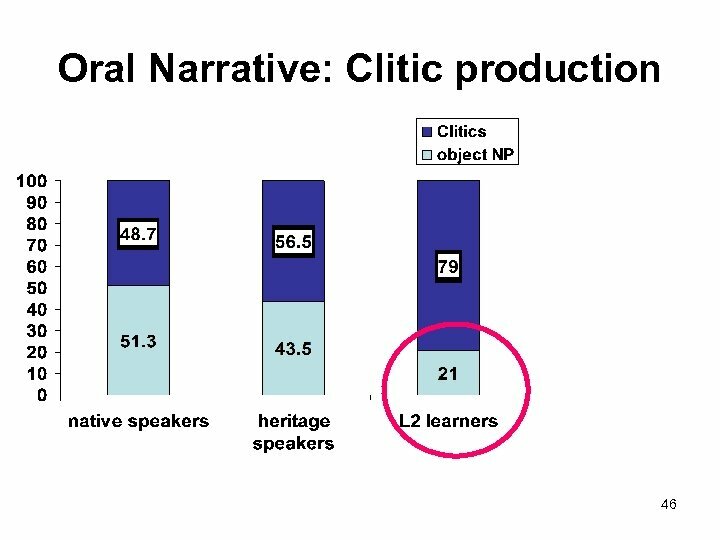 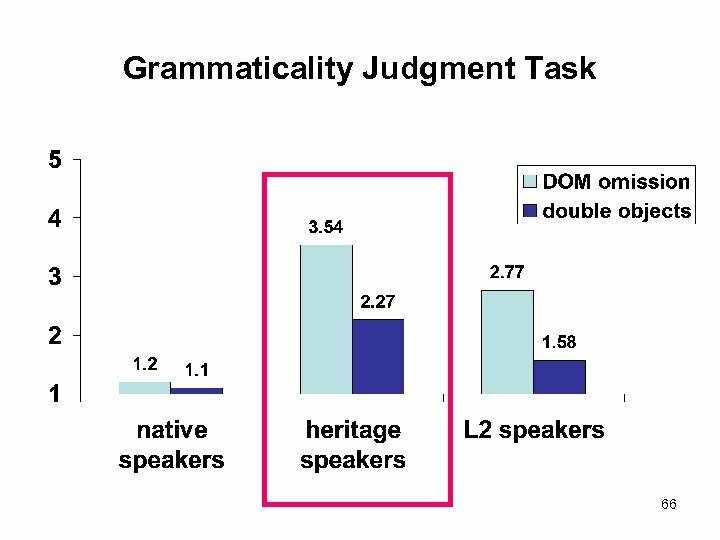 But heritage speakers use/produce more clitics than L 2 learners. 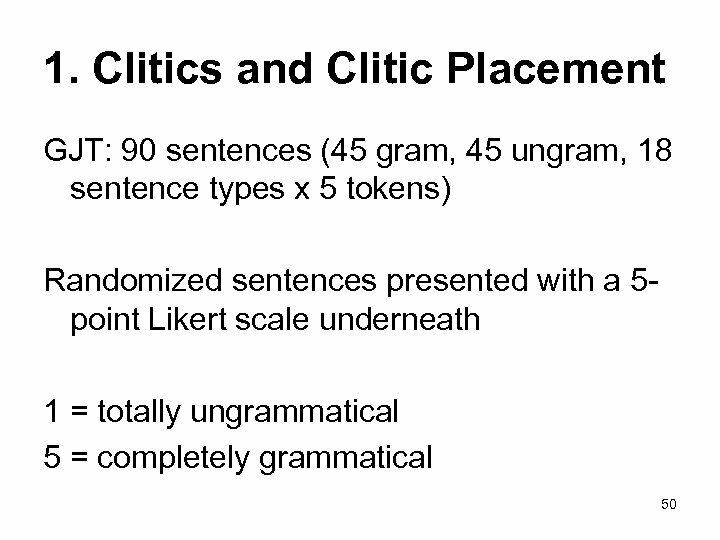 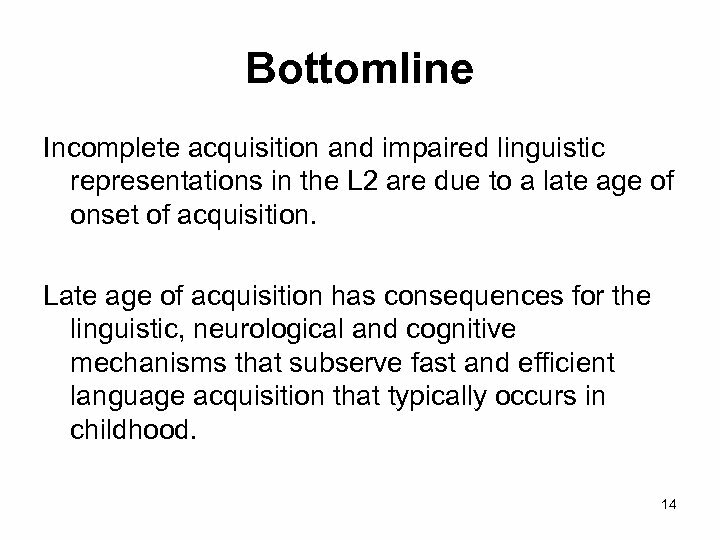 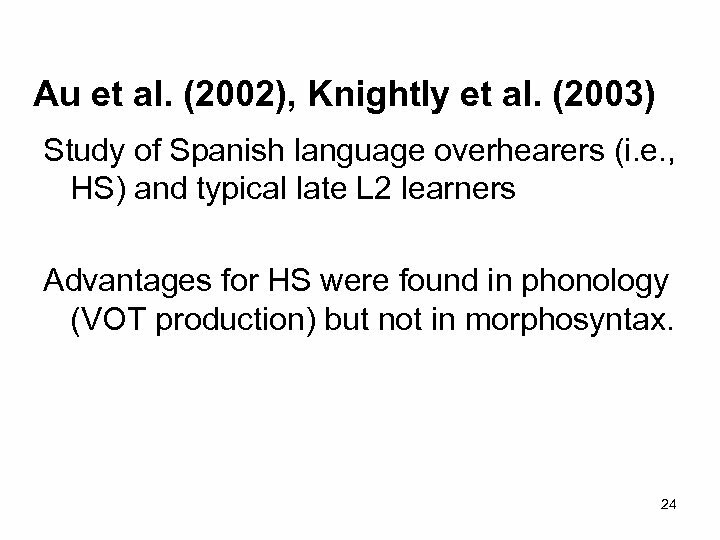 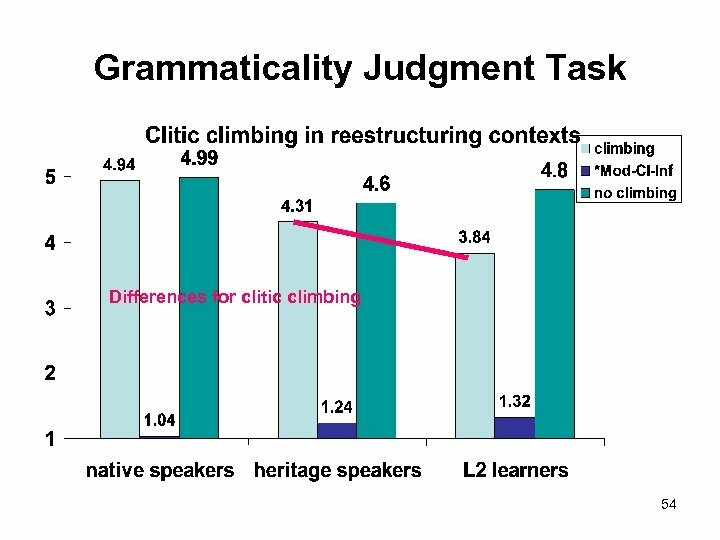 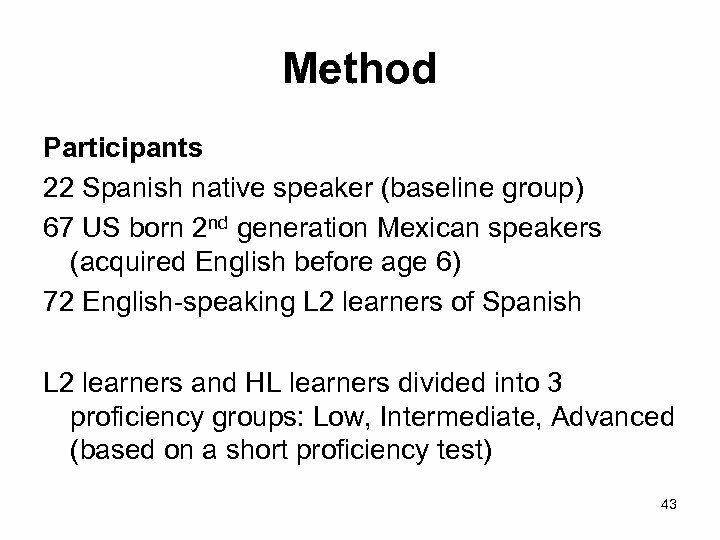 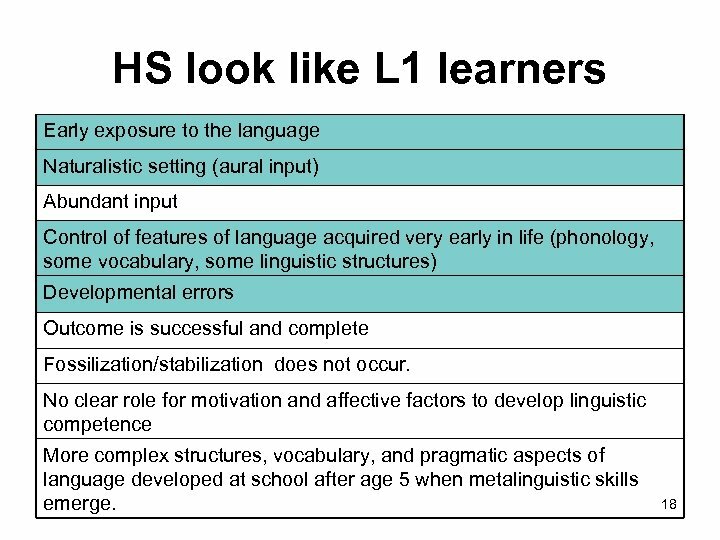 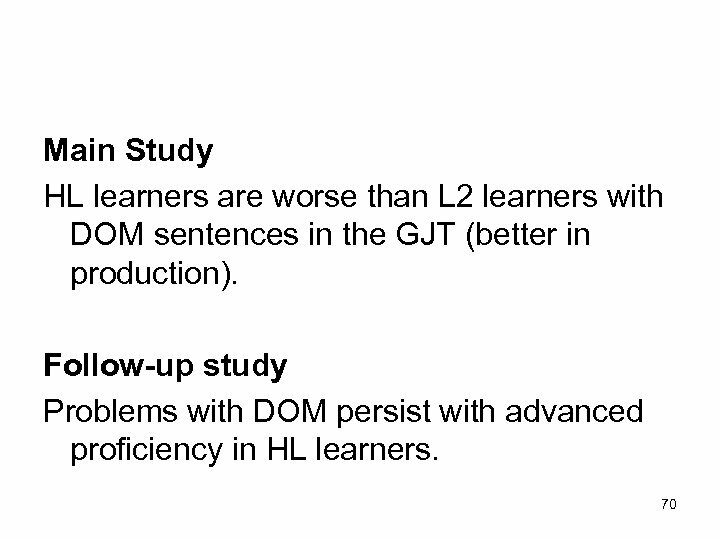 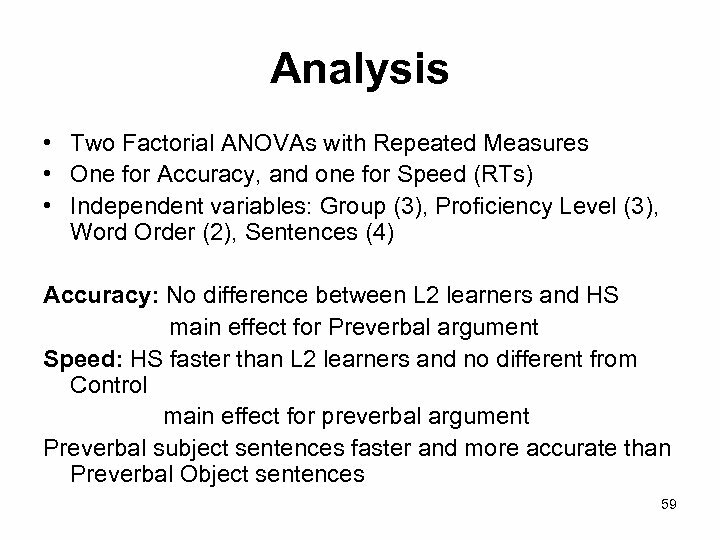 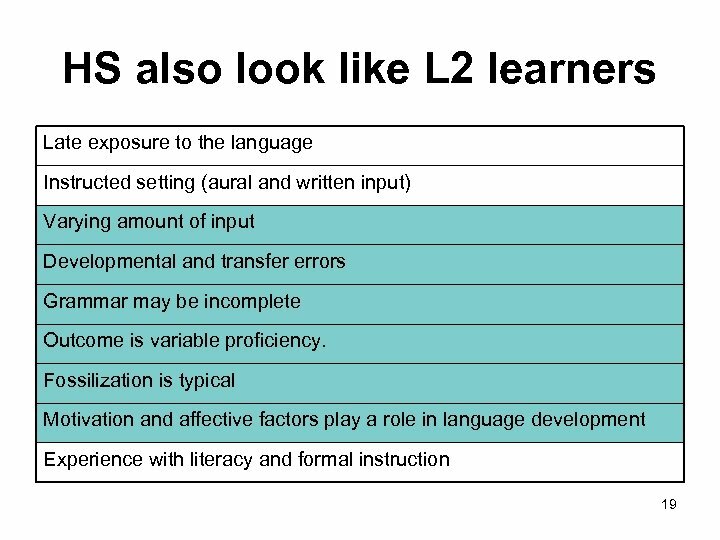 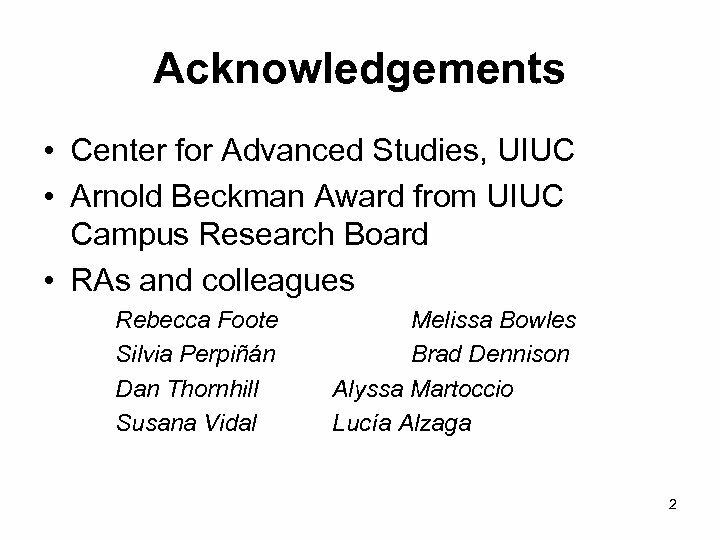 • HS have an advantage over L 2 learners with clitic left dislocations (GJT) • HS are overall faster than L 2 learners when interpreting Spanish sentences with clitics and alternative word order. 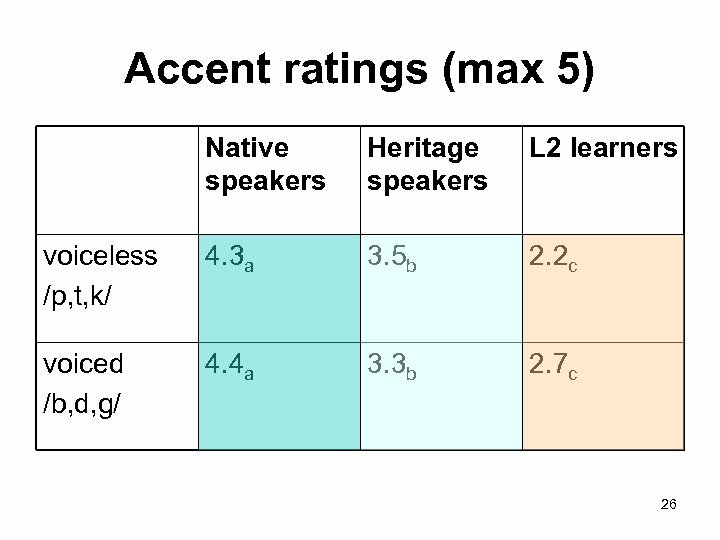 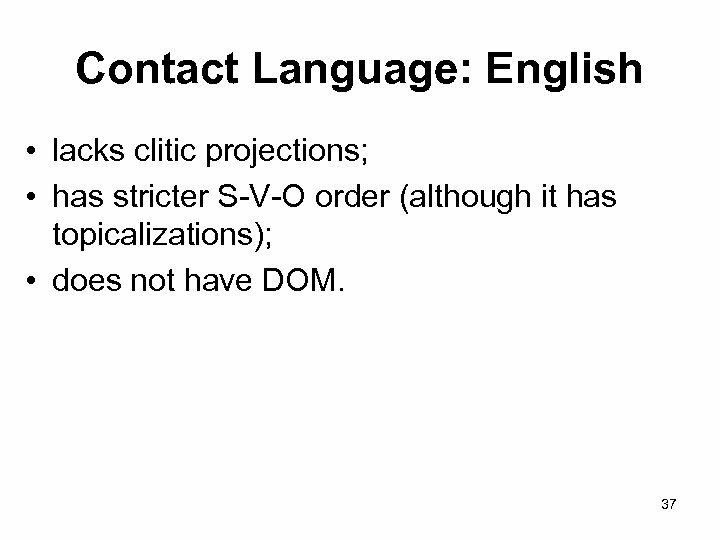 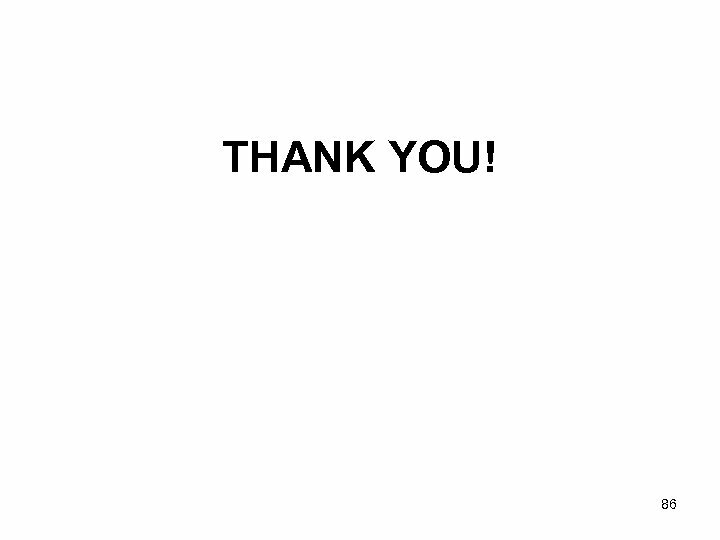 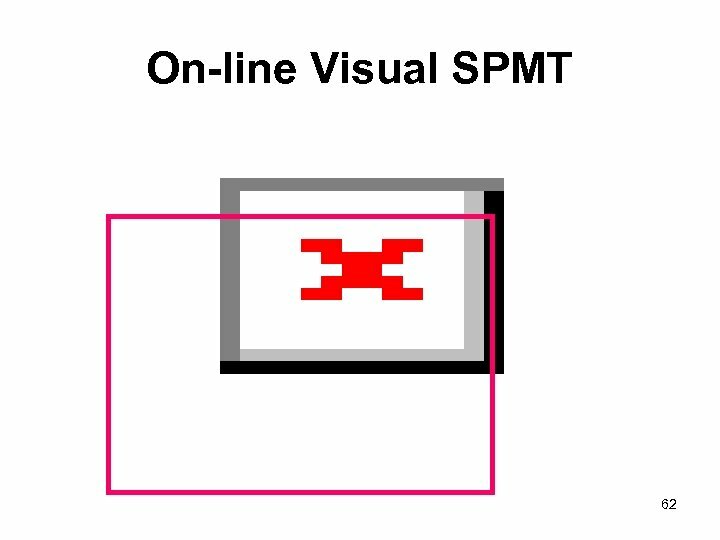 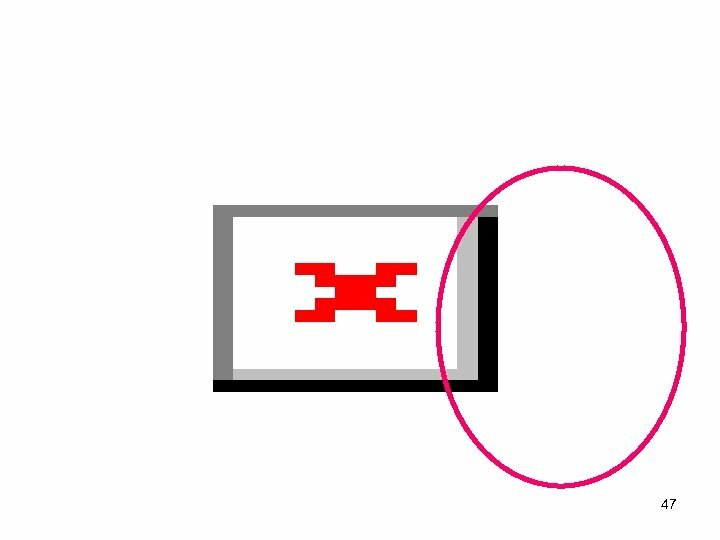 They do not differ from native speaker controls in 63 speed.